LazerLite Tonneau Covers can support 1500 pounds while still looking good! 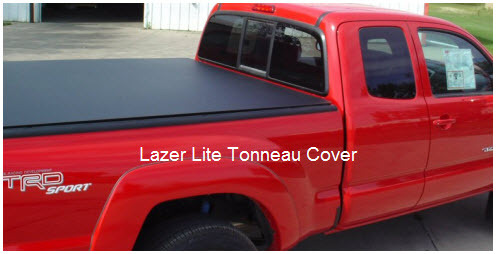 LazerLite Tonneau Covers are a new generation of lightweight, high strength aluminum, hard truck bed covers designed for security, load bearing ability and easy install/removal. The design of the LazerLite hard tonneau cover is patent protected, so you can only get this design from LazerLite. These hard tonneau covers are made with aluminum sheet thats 50% thicker than the hood of a Ford F-150. The LazerLite Tonno is harder, stronger and lighter than a comparable fiberglass tonno. They are precision laser cut to give an unbelievably accurate fit and a neat look. Let’s check out some more features and options of the tonneau cover you need for your heavy duty truck bed cover needs.